Founded in 1952, the Bridgestone Americas Trust Fund proudly supports a wide variety of important charities and civic organizations in the United States, particularly in those markets it calls home. While contributions are made to more than 150 organizations each year, the Trust Fund focuses on organizations with missions supporting beneficiaries who will benefit from support of 1) education, 2) environment and conservation and 3) youth development. 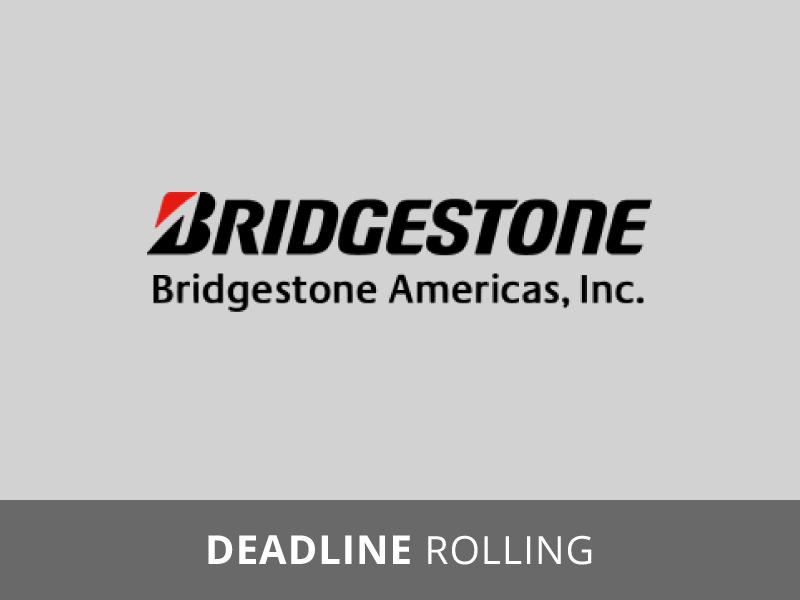 Including national and local charities, the Bridgestone Americas Trust Fund has donated more than $12 million, impacting both national organizations and countless lives in 32 communities, in the past five years. Bridgestone Americas Trust Fund will not make contributions to groups that discriminate on the basis of race, color, religion, gender, mental or physical disabilities, sexual orientation, national origin, age, citizenship, veteran/reserve/national guard status or other protected status; partisan political organization; or groups limited to members of a single religious organization.